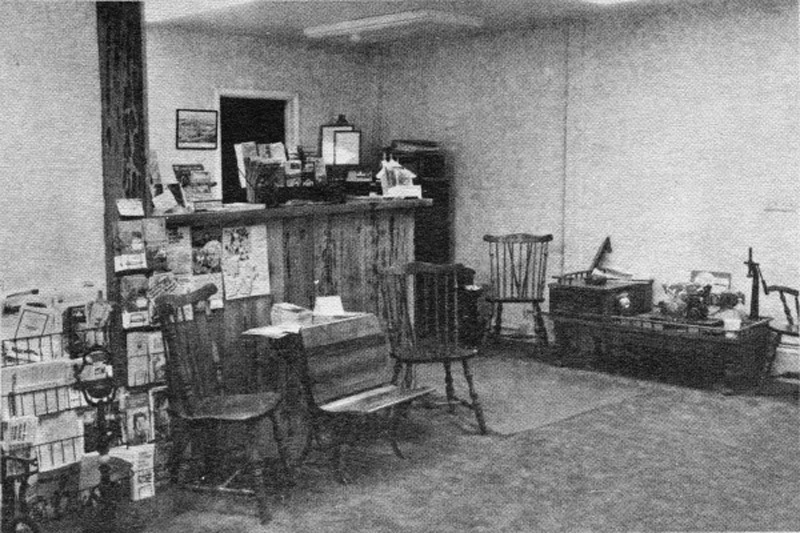 Original caption reads: "Interior view of one of the rooms in the newly restored historic home of the chamber." The Pardee House, named for its one-time owner, was built sometime before 1890 as a Good Templar's Lodge. 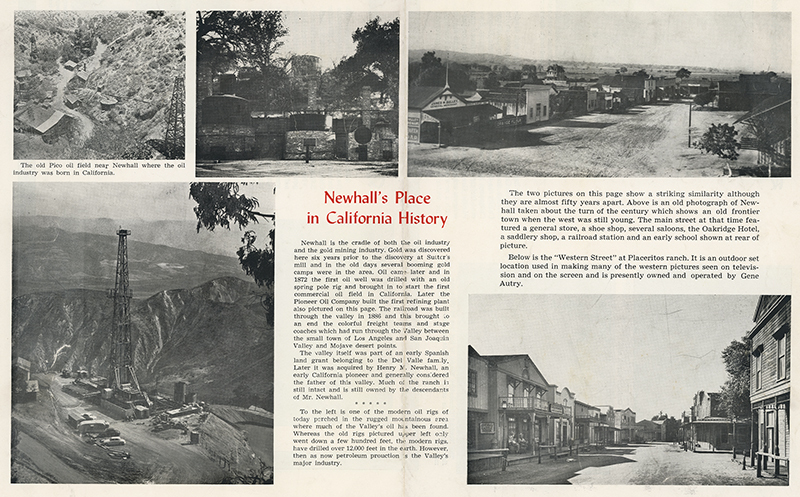 In 1890 Ed Pardee moved the home from its original location on Pine Street to the "triangle" property formed by Newhall Avenue, Market and Walnut streets. In 1992 the home was moved a third time when its ownership was transfered to the Santa Clarita Historical Society, which moved it to Heritage Junction Historic Park. 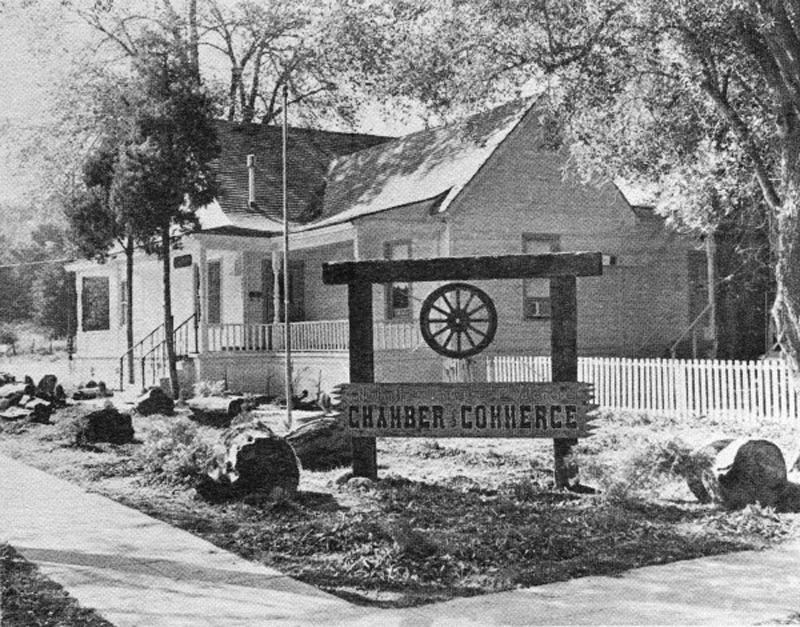 When this 1977-78 photograph of the exterior was taken, the home was at the "triangle" location and the Newhall-Saugus-Valencia (now SCV) Chamber of Commerce had just started using it as a headquarters, under lease from then-owner Pacific Telephone Co.